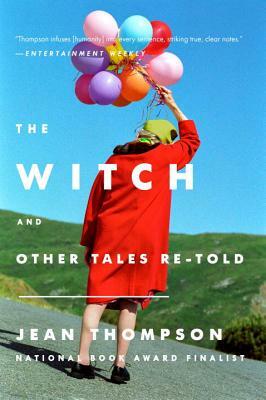 National Book Award finalist and New York Times bestselling author Jean Thompson’s new collection of “bewitching improvisations on fairy tales” are “spellbinding” (Booklist, starred review). Capturing the magic and horror in everyday life, The Witch and Other Tales Re-told revisits beloved fables that represent our deepest, most primeval fears and satisfy our longings for good to triumph over evil (preferably in the most gruesome way possible). From the wolf in “Little Red Riding Hood” to the beauty asleep in her castle, The Witch and Other Tales Re-told triumphantly brings the fairy tale into the modern age. Jean Thompson is the New York Times bestselling author of numerous novels and story collections, among them A Cloud in the Shape of a Girl, The Year We Left Home, City Boy (a National Book Award finalist), and Wide Blue Yonder. She lives in Urbana, Illinois.